Melanie (Molly Burnett) couldn&apos;t leave well enough alone. 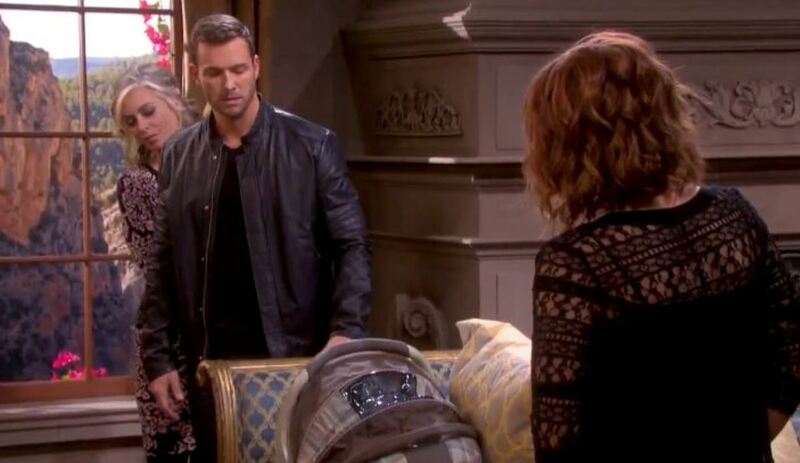 Now Brady (Eric Martsolf) believes he is the father of Kristen&apos;s (Eileen Davidson) baby on Days of Our Lives and he wants verifiable proof! This week, Brady confronts Kristen and demands the bundle of joy be tested. Unfortunately for Brady, Kristen isn&apos;t interested in the idea and pulls a gun on her former lover. How Will Brady Get Back at John on Days of Our Lives?